There remains a long-standing practice of “Don't Ask Don't Tell” in the natural products industry regarding genetically engineered food and ingredients. Most commonly, inquiries are deflected by saying that GMOs are “...not allowed in the USDA organic program...” even though no one is testing or doing anything to avoid them. The Organic Trade Association (OTA) has been a strong proponent of this. The recently passed Dark Act hides GMOs in our food and was strongly supported by the OTA to continue allowing GMOs in organic food. The new legislation, using idiotic definitions and many exemptions, allows the food industry to continue to escape responsibility for providing information. Eden Foods continues to do what is necessary to avoid GMOs since 1993. The Non-GMO Project (The Project) was created by industry members from all of its sectors in the USA and Canada. Eden Foods being one. The Project carries out a diligent Non-GMO verification program through all levels of the supply chain, providing verified Non-GMO food. Eden Foods supports The Project, and has hope that it will remain a trusted filter for those of us that know one is needed. Eden Foods' president, Michael Potter, is a governing member of The Project's board of directors. They have initiated, funded, and wrote the standards used by the non-profit organization to verify consistent standards for food produced without genetic engineering or recombinant DNA technologies. 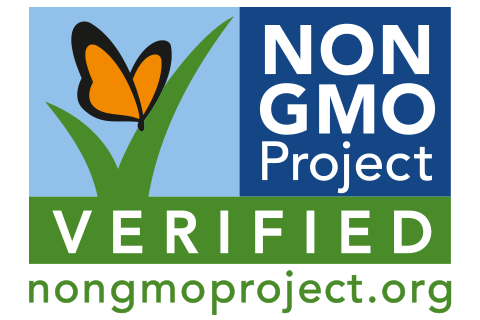 The Non-GMO Project is North America's first independent non-GMO verification utilizing on-site facility audits, document and systems reviews, and DNA PCR (polymerase chain reaction) testing of all inputs at risk for GMO contamination. As of today Eden enrolled 183 foods that have been Non-GMO Project verified as compliant with the Standard. 116 foods with a U.S.A. label, and 67 for Canadian labels. Organic – Authentic? Be Skeptical.